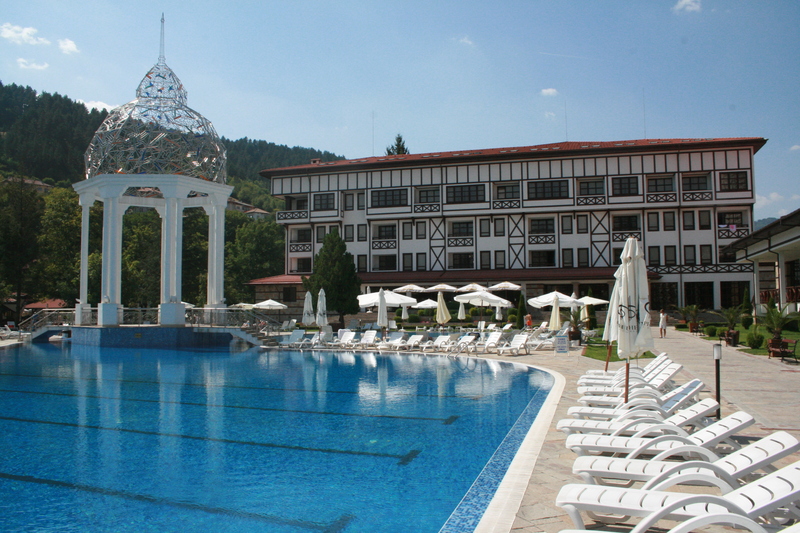 Hotel Orpheus is one of the most up-to-date and luxurious complexes in Bulgaria. It is located in the town of Devin, 196 km from Sofia, 80 km from Plovdiv and 37 km from Pamporovo ski resort. It is situated in a magnificent park, directly communicating with the mountain, with an individual style and atmosphere. A true palace of health, with all the conditions for applying the most modern balneoprevention and balneotherapy, restorative and beautifying procedures. The hotel offers a wealth of wonderful opportunities for a relaxing holiday, congress and business events,company and family celebrations, sports and various entertainment in a relaxed and beautiful environment.